Helen Douglas was just 22 weeks pregnant when she began to have severe abdominal pain, and began to bleed. Her husband, Rhys, rushed her to the hospital, but was then told that there was nothing they could do to stop the birth. And it was then, that Austin Douglas was born, weighing just 1 pound and 4 ounces. He wasn’t expected to live, and things weren’t looking good for him. 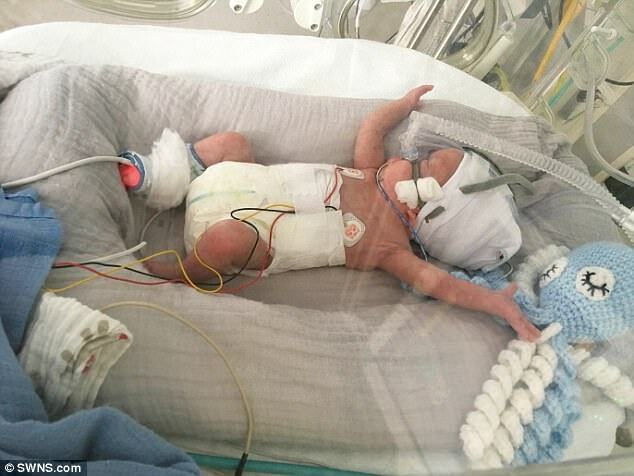 He was born with extremely thin and translucent skin, and his organs were visible. Even the holes in his ears had not yet formed. 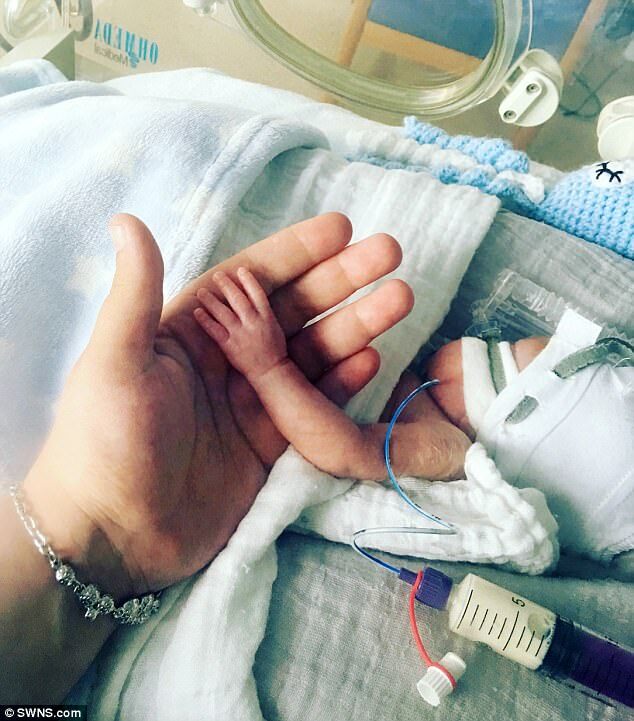 But he was born screaming and crying like any other baby, so Helen and Rhys were determined to give him the best care possible in hopes that he might make it. “I told doctors that if he came out breathing, I wanted them to do everything they could and they did,” said Helen. Twice Austin developed a lung infection, but every time he pulled through, even after doctors told Helen and Rhys to expect the worse. But finally, after months of “touch-and-go” Austin has grown so much, and is continuing to battle against the odds. “He has grown a lot, I have to hold him with two hands now and he is bigger than my husbands hand. His heart beat is strong and breathing on his own gets better and longer every day,” said Helen. But what is even more amazing about this baby boy? Helen has polycystic ovary syndrome, and was told by many that she would not be able to have children. Making Austin a miracle twice over! 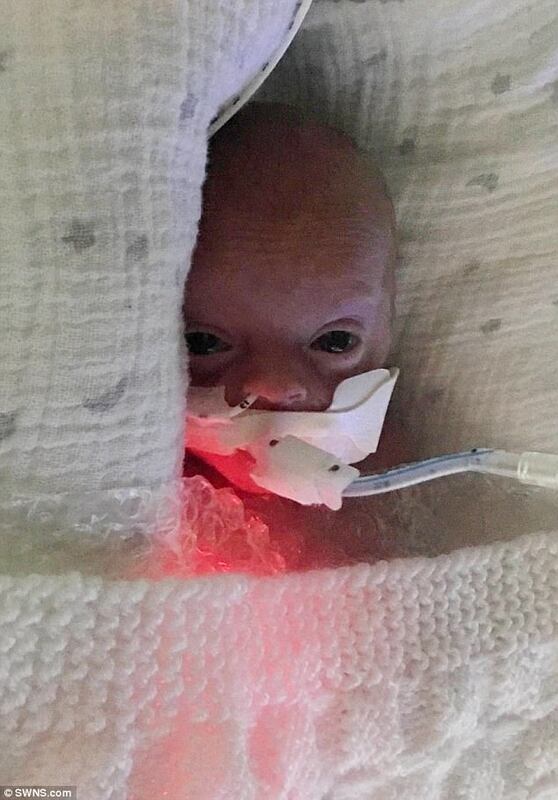 In fact this little boy is such a miracle, that July 28th, his original due date, is the day he will hopefully, and most likely, will go home! And we are SO excited for him and the family! If you believe this baby is a complete miracle, and wish him the best as he continues to grow big and strong, SHARE this post! Next Mums are actually taking antenatal lessons on-line – however are they nearly as good?